IBM Ring 21 Monthly May Meeting: Lecture with Terry Lunceford! « IBM Ring 21 Monthly April Meeting: Show and tell. Bring something different or unusual! 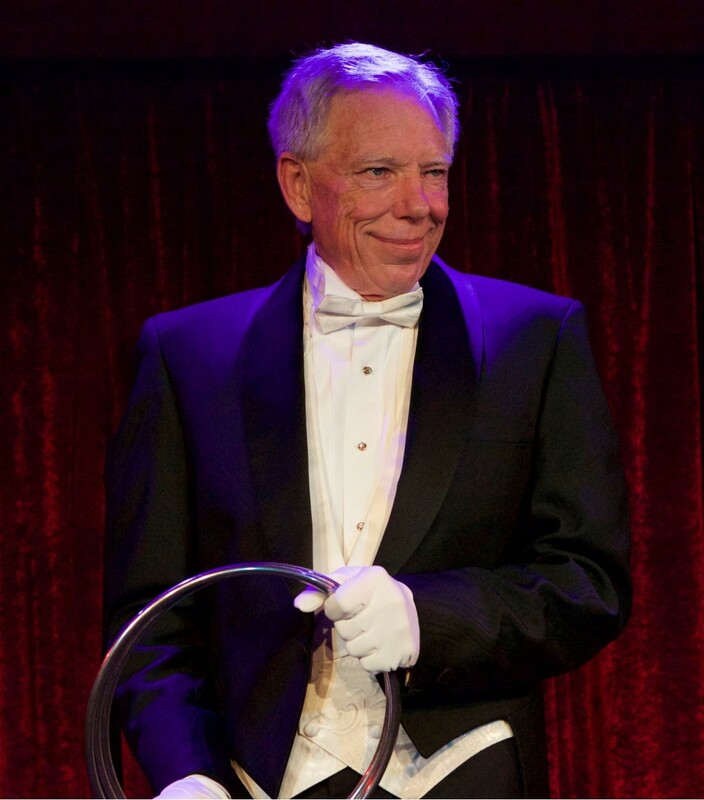 Terry has enjoyed 40+ years of success as a professional entertainer. He has headlined stages from Japan to Briton, from Caesars in Las Vegas to The Magic Castle in Hollywood. Just back from The Magic Castle Cabaret. Last year Terry won San Diego’s Triple Crown. Close up, Stand up, and Entertainer of the Year. The only person to ever achieve that goal. Cards, Coins, and Stand-up effects developed over the last 40 years. There will also be a big segment on 3d printing in magic. Examples, ideas and real world uses in magic, including the new Cryptex!